Our team of expert landscapers will help you create and manage maintenance goals to keep your landscape healthy and beautiful all year round. From site work to custom brick and stone masonry, Landscaping Sacramento can install your project with its own talented artisans and quality landscaping equipment. Using our extensive knowledge of soils, plants, landscape materials, and construction techniques, we are well qualified for any size project. We employ all our resources to achieve the best possible results, no matter the scale. The underlying philosophy of design at Caligreen Landscaping is to create a functional, aesthetic, outdoor environment for our customers that best satisfy their needs. This is our main service. This could be Anything from ripping out sod and then installing new sod. also ripping out full Landscapes and Installing a complete new design. Your outdoor area should feel like a natural extension of your home. Once expressed, your input, combined with our site analysis, will be used to create a conceptual design. The conceptual design will be based on our professional interpretation of site conditions and how it will best be utilized to achieve your goals. 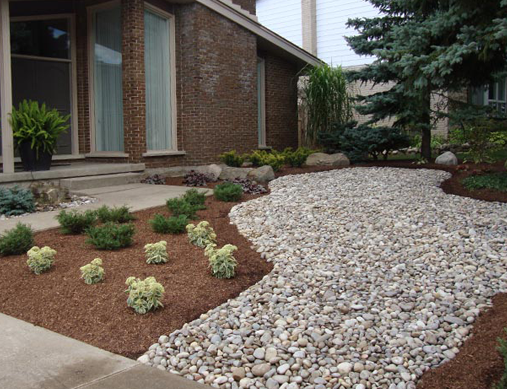 Landscaping Sacramento landscape designs provide a working plan for the development of your landscape. They are not our work of art. We save that for what really counts – the landscape itself!